There has been much excitement, and/or agitation about Parker's publication on Bordeaux 2008. An interesting reaction came from Simon Staples from Berry Bros. & Rudd, who was "utterly bewildered" when he saw Parker's judgement. Staples' clearest statement: "In 2003 he [Parker] rated this huge, hot vintage as astonishing as the rest were perplexed to find finesse. In 2005, where the entire wine world hailed it as legendary he was initially lukewarm. 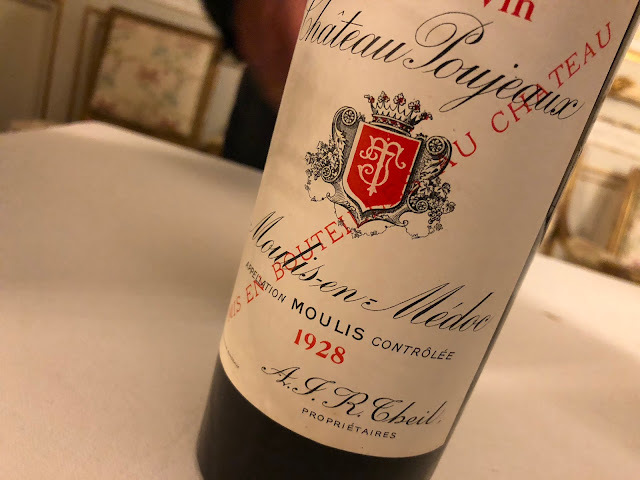 Now it's the turn for 2008 and we see another electric review in the face of all other wine professionals and even the Chateaux themselves." But besides Parker there is another critic who is quite thrilled about the 2008 vintage, and that is René Gabriel. In this month's WeinWisser Gabriel talks about a "recht stattlichen Zahl grosser und exzellenter Primeurs" and rates 25 wines 19/20 and 94 wines 18/20. With these numbers he rates structurally higher than the other writers of importance (Decanter, Bettane & Desseauve, Robinson). Overall, Jancis Robinson is reserved this year, and hardly gets to the 18 out of 20 points. And what do I think? I didn't taste hundreds of wines this year, but I got a general impression after tasting a series of about thirty 2008 primeurs. My summary for Bordeaux 2008 in bullets: *) sound, vital fruit, *) good structure (matière), with a healthy, natural concentration *) good acidity and related freshness. Note: today Château Cantenac-Brown 2008 was released at a price 43%(!) below the 2007-price, and with that it is quite an interesting buy. And indeed, the 2007 was way too expensive, as was the 2006. For those of you who are interested, see my earlier posting Cantenac Brown 2006 and its crazy price. Note: Larrivet Haut-Brion 2008 was also released today, and it was the first left bank wine to raise its price in comparison to 2007. I wouldn't know why (other than that this estate would like to climb up to the group of Graves grand crus).